Before :- Binod Kumar Roy, C.J., V.K. Bali and Swatanter Kumar, JJ. For the Appellant :- Mr. T.P.S. Mann, Advocate. For the Respondent :- Mr. Charu Tuli, Senior Deputy Advocate General, Punjab. "One of the main grounds for the acquittal of the appellant taken up by the learned counsel for the appellant is that mandatory provisions of Section 50 of Narcotic Drugs and Psychotropic Substances Act, 1985 (hereinafter called 'the Act') have not been complied with, as according to the learned counsel, the appellant was not given an offer of being searched before a gazetted officer or a Magistrate. According to the learned counsel, it has been specifically provided under Section 50 of the Act that when an Officer duly authorised under Section 42 is about to search any person under the provisions of Section 41, Section 42 or Section 43, he shall, if such person so requires, take such person without unnecessary delay to the nearest Gazetted Officer of any of the departments mentioned in Section 42 or to the nearest Magistrate. The learned Trial Court while relying upon State of Punjab v. Balbir Singh, 1994(1) RCR(Crl.) 736 (P&H) : AIR 1994 SC 1872, has held that as it was a chance recovery, compliance of provisions of the Act was not required to be made at that time. It is pertinent to note here that there is a conflict of opinion between the two Division Benches of this Court, as to whether in case of a chance recovery the accused is still required to be given an offer to be searched before a gazetted Officer or a Magistrate, or not. It has been held in Gurpreet Singh alias Pappi and anr. v. State of Punjab, 1999(3) RCR(Crl.) 95 (P&H) : 1997(1) C.C.Cases 297 (HC) that provisions of Section 50 of the Act had to be complied with even in case of chance encounter. In Gurpreet Singh's case (supra), the accused were searched and 27 bags of poppy husk each containing 40 kgs were recovered from the truck. The trial Court convicted the accused and came to the conclusion that compliance with the provisions of Section 50 of the Act was not required as the recovery had been made in the course of a chance meeting between the police-party and the accused and that in any case the consent memo did record that an offer under Section 50 of the Act had in fact been made. In appeal before the High Court it was urged that the offer made to the accused at the time of their apprehension was only a partial one inasmuch as that the accused were given an offer as to whether they would like to be searched before a gazetted Officer and no offer with regard to the search in the presence of a Magistrate had been made and thus, this partial offer did not comply with the provisions of Section 50 of the Act which are mandatory in nature. "We are further of the view in the light of Supreme Court judgment in Mohinder Kumar v. The State of Panaji Goa, 1995(2) RCR(Crl.) 599 (SC), the provisions of Section 50 of the Act had to be complied with even in case of chance encounter." "In terms of the law laid down by the apex Court in the above mentioned case, it is now settled that the only option to be given to a person who is in possession of articles which are illicit under the N.D.P.S. Act is whether he will like to be searched in the presence of a senior officer (who should be a gazetted Officer) and it will be for the police Officer who is to conduct the search, to conduct it in the presence of whosoever is most conveniently available whether a Gazetted Officer or a Magistrate. It will be relevant to point out here that in the case of Raghbir Singh (supra) the earlier judgment rendered by Three Judges Bench of the apex Court in the case of Saiyed Mohd. Saiyed Umar Saiyed (supra) was referred to." In view of this conflict of opinion of two Division Benches of this Court on this important point, we refer the point involved to a Full Bench. We request Hon'ble the Chief Justice to constitute a Full Bench as early as possible as the question involved in this case crops up for decision frequently in many cases." 2. The appellant on 6.10.2003 filed an application under Section 399(1) of Criminal Procedure Code for suspension of execution of sentence and to release him on bail. This application came up before the Full Bench for hearing on 25.2.2004 on which date a suggestion was made from the Bar that it would be in the interest of justice to dispose of the question of law formulated in the criminal appeal itself. Thus, the case was adjourned for hearing of the question referred for answer to the Full Bench in the criminal appeal itself. "Heard Mr. T.P.S. Mann, learned counsel appearing on behalf of Appellant in part. It appears that Office has not cared to prepare Paper books for each one of us. The questions which have been referred for adjudication by this Full Bench necessarily require consideration of facts. Accordingly, one of us (Chief Justice) is of the view that Criminal Appeal itself be decided on merits by this very Full Bench, with which the remaining two of us agree. Learned Counsel for the Appellant also expressed no objection. Thus further hearing is deferred to Wednesday dated May 12, 2004 as requested by both learned counsel. The Office is directed to prepare necessary three Paper Books for each one of us." In view of the above, we had heard learned counsel appearing for the appellant as well as the State on merits of the appeal. Thus, now we proceed to answer the question of law posed as well as the merits of the appeal. a) There is no record produced by the prosecution to show that complete and composite offer as contemplated under Section 50 of the Act was given to the appellant by any memo or otherwise. b) The appellant has been falsely implicated inasmuch as he/his relations had given telegrams to various authorities, Ex.D.1 to Ex.D.4, prior to the date of his arrest, which indicate his false implication in the case. c) The sample was tampered with and was illegally retained by the persons investigating the offence for a considerable period. There is uncertainty as to deposit of the sealed sample in Malkhana, its with-drawal therefrom and submission to the Forensic Science Laboratory, Chandigarh, hereinafter referred to as F.S.L. The dates given by the witnesses completely demolish the case of the prosecution. d) The statement of PW1 SI Dharam Singh is a complete improvement and is in contradiction to Division Bench judgment in relation to ceiling (sealing ?) of the sample as well as its deposit with the Malkhana. Serious contradictions appearing in the statement of this witness read with statements of other witnesses, completely demolish the case of the prosecution. e) Lastly and without prejudice to the above contentions, it is argued that quantum of sentence is unreasonable and requires interference by this Court as there are no grounds for awarding to the appellant the maximum sentence of 15 years. 5. In order to examine the merits or otherwise of the contentions raised before us and before we proceed to answer the proposed question of law, it is necessary for us to notice the facts of the case of the prosecution clearly. 6. The facts as recorded in the ruqqa Ex. PB and reproduced in the FIR Ex. PB/1 are that SI Dharam Singh, accompanied by ASI Harbhajan Singh, ASI Amrik Singh and other police officials was going from village Chawinda Kalan towards village Lawan. They were travelling by Government vehicle No. PB-02-9739, which was being driven by Swaran Singh, S.P.O. The police party was out on official duty for checking and search of bad elements in that area. According to the prosecution, when the police party reached the bridge over the minor canal in village Chawinda Kalan, they noticed a person coming from the opposite side, who was carrying a gunny bag on his head. The name of this person, as disclosed by him to the police party subsequently, was Mohan Singh alias Mohna son of Surjan Singh, Jat, resident of village Chawinda Kalan. On seeing the police party this person got frightened and turned to the left hand on a kacha path with an intention to avoid the police party. The officers got suspicious and apprehended Mohan Singh. The attempt of the police to associate respectables of the locality proved futile. Thereafter SI Dharam Singh asked Mohan Singh that he wanted to get his personal search conducted and required him to exercise his option whether he wanted the search in presence of a gazetted officer, but he replied that he reposed confidence in the police officer and his search could be conducted by him. Resultantly the search was conducted according to the procedure in presence of the police party. On conducting the search, opium was recovered, wrapped in a glazed paper, from his gunny bag carried by him. It weighed 13 kilograms; 10 grams was taken out as sample and put into a plastic Dabbi. Remaining part was sealed in a tin and separate recovery memo thereof was prepared being Ex.PA. They were sealed with the seal bearing supersubscription of 'DS'. Ruqqa Ex.PB was sent to the Moharrir Head Constable of Police Station, Lopoke, where the FIR was registered for an offence under Section 18 of the Act. The appellant was charged with the said offence and subjected to face trial. 7. The prosecution examined five witnesses to prove its case and in order to prove his innocence, the appellant examined seven witnesses. SI Dharam Singh was examined as PW1, who narrated the entire prosecution story. PW2 ASI Amrik Singh was examined as eye witness. PW3 MHC Mohan Singh and PW4 Harjinder Singh tendered their respective affidavits and were cross-examined. PW5 DSP Harjinder Singh stated that he had put seal of 'NS' while sealing the case property and he had also interrogated the appellant. According to this witness the sample was sent for analysis to the F.S.L. where it was analytically examined. The sample was sent in form M-29 vide Ex.PF to the F.S.L. which gave its report Ex.PH according to which the contents were analysed and it was found that it contained Meconic Acid and 4.25 of Morphine, thus, in violation of the provisions of the Act. 8. In defence, the appellant examined DW1 from the Telephone Department, who proved telegrams mark D1 to D4 and Ex.D.1 the postal receipts. DW2 was a Clerk from the Deputy Commissioner's office who stated that the copy of the telegram was received. Even other witnesses were examined to prove the receipt of the telegrams in the different offices. DW4 was one of the material witnesses examined by the defence, who stated before the Court that the sample was deposited with the F.S.L. on 24.6.1992 in terms of Memos Ex.DW4/1 and Ex.DW4/2. DW5 was also examined to show that the appellant had been apprehended much prior to the registration of the FIR and had been falsely implicated. The learned trial Court had recorded the statement of the appellant under Section 313 Cr.P.C. putting all the discriminatory evidence to him and finally held the appellant guilty of the offence and punished him to undergo the afore-noticed sentence. "In terms of the law laid down by the apex Court in the above mentioned case, it is now settled that the only option to be given to a person who is in possession of articles which are illicit under the NDPS Act is whether he will like to be searched in the presence of a senior officer (who should be a Gazetted Officer) and it will be for the Police Officer who is to conduct the search, to conduct it in the presence of whosoever is most conveniently available whether a Gazetted Officer or a Magistrate. It will be relevant to point out here that in the case of Raghbir Singh (supra) the earlier judgment rendered by Three Judges Bench of the Apex Court in the case of Saiyad Mohd. Saiyad Umar Saiyad (supra) was referred to." 10. Another Bench of this Court in the case of Gurpreet Singh (supra) set aside the conviction and sentence of the accused in that case while referring to the judgments of the Supreme Court in Saiyad Mohd. (supra), Raghbir Singh (supra) and Manohar Lal (supra). The Bench, of course, did not notice earlier judgment of Division Bench in the case of Raj Kumar (supra). The Division Bench, thus, expressed the view that a partial offer would not satisfy the requirement of Section 50 of the Act and even in the case of the chance recovery, requirement of the provisions of Section 50 is mandatory as enunciated by the Supreme Court in the case of Mohinder Kumar v. The State of Panaji Goa, 1995(2) R.C.R. 599 (SC). On this legal question, there was divergence of opinion between different Benches of the Supreme Court as well as of different High Courts. The entire ambit and scope of Section 50 of the Act was referred to a Larger Bench when their Lordships of the Supreme Court noticed that the divergent views have been expressed by two different Benches of that Court, one, in the case of State of H.P. v. Pirthi Chand, 1996(2) RCR(Crl.) 759 (SC) : 1996 S.C.C.(Crl.) 210, as is followed in the case of State of Punjab v. Labh Singh, 1997(1) RCR(Crl.) 565 (SC) : (1996) 5 SCC 520 : 1996 SCC(Crl.) 1036, holding that the breach of Section 50 does not affect the trial, while in the case of Ali Mustaffa Abdul Rahman Moosa v. State of Kerala, 1994(3) RCR(Crl.) 595 (SC) : (1994) 6 SCC 569 : 1995 SCC(Crl.) 32, another Bench of the Supreme Court held that the breach of Section 50 of the Act makes the conviction illegal. The Larger Bench of three Judges so constituted in the Supreme Court found that the view expressed in Saiyad Mohd. Saiyad (supra) needed reconstruction and as such the matter was referred to still a Larger Bench and it was referred to by the Constitutional Bench by orders of Hon'ble the Chief Justice of India in the case of State of Punjab v. Baldev Singh, 1999(3) RCR(Crl.) 533 (SC) : 1999(6) S.C.C. 172. "(1) That when an empowered officer or a duly authorised officer acting on prior information is about to search a person, it is imperative for him to inform the person concerned to his right under sub-section (1) of Section 50 of being taken to the nearest gazetted officer or the nearest Magistrate for making the search. However, such information may not necessarily be in writing. (2) That failure to inform the person concerned about the existence of his right to be searched before a gazetted officer or a Magistrate would cause prejudice to an accused. (3) That a search made by an empowered officer, on prior information, without informing the person of his right that if he so requires, he shall be taken before a gazetted officer or a Magistrate for search and in case he so opts, failure to conduct his search before a gazetted officer or a Magistrate, may not vitiate the trial but would render the recovery of the illicit article suspect and vitiate the conviction and sentence of an accused, where the conviction has been recorded only on the basis of the possession of the illicit article, recovered from his person, during a search conducted in violation of the provisions of Section 50 of the Act. (4) That there is indeed need to protect society from criminals. The societal intent in safety will suffer if persons who commit crimes are let off because the evidence against them is to be treated as if it does not exist. The answer, therefore, is that the investigating agency must follow the procedure as envisaged by the statute scrupulously and the failure to do so must be viewed by the higher authorities seriously inviting action against the official concerned so that the laxity on the part of the investigating authority is curbed. In every case the end result is important but the means to achieve it must remain above board. The remedy cannot be worse than the disease itself. The legitimacy of the judicial process may come under a cloud if the court is seen to condone acts of lawlessness conducted by the investigating agency during search operations and may also undermine respect for the law and may have the effect of unconscionably compromising the administration of justice. That cannot be permitted. An accused is entitled to a fair trial. A conviction resulting from an unfair trial is contrary to our concept of justice. The use of evidence collected in breach of the safeguards provided by Section 50 at the trial, would render the trial unfair. (5) That whether or not the safeguards provided in Section 50 have been duly observed would have to be determined by the court on the basis of the evidence led at the trial. Finding on that issue, one way or the other, would be relevant for recording an order of conviction or acquittal. Without giving an opportunity to the prosecution to establish, at the trial, that the provisions of Section 50 and, particularly, the safeguards provided therein were duly complied with, it would not be permissible to cut short a criminal trial. (6) That in the context in which the protection has been incorporated in Section 50 for the benefit of the person intended to be searched, we do not express any opinion whether the provisions of Section 50 are mandatory or directory, but hold that failure to inform the person concerned of his right as emanating from sub-section (1) of Section 50, may render the recovery of the contraband suspect and the conviction and sentence of an accused bad and unsustainable in law. (7) That an illicit article seized from the person of an accused during search conducted in violation of the safeguards provided in Section 50 of the Act cannot be used as evidence of proof of unlawful possession of the contraband on the accused though any other material recovered during that search may be relied upon by the prosecution, in other proceedings, against an accused, notwithstanding the recovery of that material during an illegal search. (8) A presumption under Section 54 of the Act can only be raised after the prosecution has established that the accused was found to be in possession of the contraband in a search conducted in accordance with the mandate of Section 50. An illegal search cannot entitle the prosecution to raise a presumption under Section 54 of the Act. (9) That the judgment in Pooran Mal case cannot be understood to have laid down that an illicit article seized during a search of a person, on prior information, conducted in violation of the provisions of Section 50 of the Act, can by itself be used as evidence of unlawful possession of the illicit article on the person from whom the contraband has been seized during the illegal search. (10) That the judgment in Ali Mustaffa case correctly interprets and distinguishes the judgment in Pooran Mal case and the broad observations made in Pirthi Chand case and Jasbir Singh case are not in tune with the correct exposition of law as laid down in Pooran Mal case." 12. Another judgment of the Supreme Court in the case of Smt. Krishna Kanwar @ Thakuraeen v. State of Rajasthan, JT 2004(1) S.C. 597 has also been brought to our notice. In this judgment, their Lordships of the Supreme Court concurred with the view expressed by another Bench of two Judges in the Supreme Court in Manohar Lal's case (supra) and held that accused is only to choose whether he would liked to be searched by the officer making the search or in presence of nearest available gazetted officer or the nearest Magistrate. The choice of the nearest gazetted officer or the nearest Magistrate has to be exercised by the officer making the search and not by the accused. In our humble opinion, the above conclusion appears to be at some divergence to the view expressed by the Constitutional Bench. Their Lordships of the Supreme Court while expressing the view in Baldev Singh's case (supra) held that if the person concerned requires, on being so informed by the empowered officer or otherwise, that his search be conducted in the presence of a gazetted officer or a Magistrate, the empowered officer is obliged to do so and failure on his part to do so would cause prejudice to the accused and also render the search illegal and the conviction and sentence of the accused based solely on recovery made during that search bad. Further their Lordships clearly held that search of the person (suspect) concerned is conducted in the manner prescribed by Section 50 by intimating to the person concerned about the existence of his right that if he so requires, he would be searched before a gazetted officer or a Magistrate and in case he so opts, failure to conduct his search before a gazetted officer or a Magistrate would cause prejudice to the accused. The protection provided in the Section to an accused to be intimated that he has the right to have his personal search conducted before a gazetted officer or a Magistrate, if he so requires, is sacrosanct and indefeasible - it cannot be disregarded by the prosecution except at his own peril. 13. The judgment of the Constitution Bench being that of a Larger Bench, having detailed discussion in relation to the matters in issue in the present case, would be more appropriately applicable to the present case on the principle of ratio decidendi and would bind this Court. The judgment of the Supreme Court in Krishna Kanwar's case (supra) may not have complete application to the facts of the present case, particularly in view of the fact that their Lordships of the Supreme Court held that provisions of Section 50 were not applicable to the case in hand as these provisions are attracted only in the event of search of a person and not that of vehicle, container or article. Their Lordships also, as a matter of fact, came to the conclusion that the conviction of the accused would not be solely based upon the alleged illegal recovery in violation to the provisions of Section 50 of the Act, which are not the facts in the case in hand. 14. We may also notice here that in all probability the judgments of Manohar Lal's case (supra) and Raghbir Singh's case (supra) were not brought to the notice of the Constitution Bench of the Supreme Court, while in Krishna Kanwar's case (supra) the two Judges Bench of the Supreme Court was concerned with the view expressed by another Bench of two Judges in Manohar Lal's case (supra). Baldev Singh's judgment, though noticed by the subsequent Bench in Krishna Kanwar's case, the present aspect (partial or complete offer as contemplated under Section 50 of the Act and its consequences), in detail, but their Lordships merely concurred with the view of the Court in Manohar Lal's case, as the Constitution Bench of the Supreme Court held that the view expressed in Pirthi Chand's case (supra) and Jasbir Singh's case (supra) was not in tune with the correct exposition of law as laid down in Pooran Mal's case. We may notice that the view in these two cases by the Supreme Court was on similar lines as in Manohar Lal's case. Their Lordships of the Supreme Court in the Constitution Bench also clearly stated that the view expressed by the Supreme Court in its earlier judgments including the cases of Ali Mustaffa and Saiyed Mohd. Saiyed in light of Pooran Mal's case was held to be more in consonance with the spirit of the statute. In view of the Constitution Bench of the Supreme Court, the judgment in Ali Mustaffa's case had correctly interpreted and distinguished the judgment in Pooran Mal's case. In Pooran Mal's case their Lordships had held that the law of evidence is moulded on the rules of evidence which prevailed in English Law and the Courts in India and in England had consistently refused to exclude relevant evidence merely on the ground that it is obtained by illegal search or seizure particularly when there is no express or necessary implied prohibition in law for putting such evidence. The Constitution Bench explained this position by holding that the illicit article seized from the person of an accused during search conducted in violation of the safeguards provided in Section 50, cannot be used as evidence of the proof of unlawful possession of the contraband. The violation of the statutory provisions of Section 50 would render the search illegal and the conviction and sentence of the accused based solely on the recovery made during that search bad. To this extent the law settled in Pooran Mal's case was elucidated and clarified the discussion of the Constitution Bench as afore-referred clearly governing the controversy raised before us as well as the question referred to the Larger Bench for determination. 15. In view of the enunciation of law by the Constitution Bench of Supreme Court, it is not necessary for us to discuss the legal niceties of these decisions in any greater length and suffice it to note that we would answer the legal question formulated by the Division Bench in its order dated 29.8.1997 in the language of the Supreme Court itself shortly hereinafter. "This contention deserves to be rejected because only when the person of an accused is to be searched then he is required to be informed about his right to be examined in presence of a Gazetted Officer or a Magistrate. As rightly pointed out by the High Court search of baggage of a person is not the same thing as search of the person himself. In State of Punjab v. Baldev Singh, 1999(3) RCR(Crl.) 533 (SC) : 1999(4) SCC 595, this Court has held that the requirement of informing the accused about his right under Section 50 comes into existence only when person of the accused is to be searched. 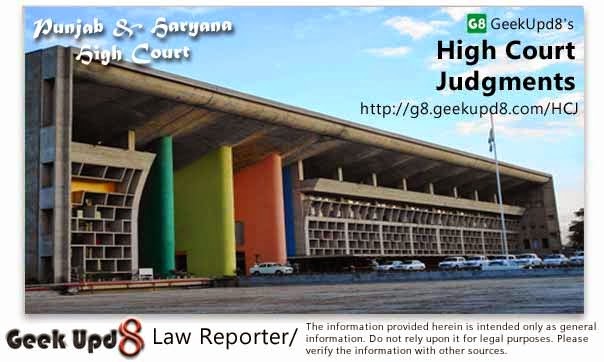 The decision of this Court in State of Punjab v. Jasbir Singh & others, JT 1995(9) SC 308, wherein it was held that though poppy straw was recovered from the bags of the accused, yet he was required to be informed about his right to be searched in presence of a Gazetted Officer or a Magistrate, now stands overruled by the decision in Baldev Singh's case (supra). If a person is carrying a bag or some other article with him and narcotic drug or the psychotropic substances is found from it, it cannot be said that it was found from his person. In this case heroin was found from a bag belonging to the appellant and not from his person and therefore it was not necessary to make an offer for search in presence of a Gazetted Officer or a Magistrate." 18. Still in another recent judgment (Krishna Kanwar's case) the Supreme Court reiterated the view taken in Kalema Tumba's case (supra) and held that the language of Section 50 is implicitly clear that search has to be in relation to a person as contrasted to search of premises, vehicles or articles. This position was settled beyond doubt by the Constitution Bench in Baldev Singh's case (supra). To us, there appears to be no divergent opinion expressed by the Supreme Court in the above referred cases. The consistent, and particularly, the view of the Larger Bench, appears to be that the search must relate to the person and not vehicle, other luggage and article, then alone, the provisions of Section 50 would be attracted. 19. The expression "person" in Section 50 of the Act must receive a strict construction and narrow meaning so as to give it meaning of wide magnitude, may not be permissible and would not further the cause and object of the statutory provisions of the Act. Section 50 would obviously apply in relation to search of an individual person. Search of a person would commonly mean whatever he is possessed of at that time. He is suspected of carrying a narcotic or contraband goods and is sought to be apprehended by the competent investigating officer. The term "person" shall essentially include what he directly possesses on his person at the relevant time. Such item has to be at his person and cannot be, thus, at a distance or in a manner which would segregate the same from his body. The Courts have held that possession is a polymorphous term which may have different meanings in different contexts. It may not be possible to work out a completely logical and precise definition of uniformly applicable to all situations in the context of all statutes. But certaintly possession implies a right in conjunction with the fact. It is a relationship between a person and a thing relatable and recognisable co- extensively as a matter of fact. Actual holding or occupancy of such material on the body of the person would be a more appropriate explanation which implicitly ought to be included in the impression "person" appearing in Section 50. Physical detention of the article as his own and on his person has to be seen and understood in complete contra-distinction to an item which is lying away from the body/physique of a person and is not on the body of the person as a matter of fact. It should be on the body of a person and there should be animus possidendi by possibility of others being in possession at the relevant time. "In the contest the word 'possession' must mean possession with the requisite mental element, that is, conscious possession and not from custody without the awareness of the entry of such possession. There is a mental element in the concept of possession. Accordingly, the ingredient of 'possession' in Section of the TADA Act means conscious possession. This is how the ingredient of possession in similar context of a statutory offence imparting strict liability on account of mere possession of an unauthorised substance has been understood. The unauthorised possession in the context means without the authority of law." In other words, before a person can claim benefit of the protection or safe- guards provided under Section 50 of the Act and its strict compliance, the person must be possessed of the psychotropic substance or narcotic drug on his body with him. If the article, parcel or a bag is lying even at a possible shortest distance from the suspect, but is not being physically carried on his person by the suspect, the statutory protection of Section 50 would not be available to such an accused. This will be equally true in the case where such a substance is found in the baggage of a suspect passenger. 21. The result of the above discussion is that it is obligatory upon the investigating officer to give complete offer to the suspect upon whom he proposes to conduct personal search and where the suspect exercises his option, the investigating officer is required to conduct the search in presence of the gazetted officer or the Magistrate, as the case may be. The offer must be complete, but essentially need not be in writing. Thus, the view expressed in Gurpreet Singh's case (supra) read in conjunction with the judgment of the Apex Court in Baldev Singh's case (supra) is the correct exposition of law. 22. Learned counsel for the appellant argued with some emphasis that the appellant had been falsely implicated in the present case. According to the defence, the appellant was picked up by the police in an illegal manner on 19.4.1992 and thereafter he was involved in the present case. In support of this contention, reliance was placed upon marks D1 to D4, the telegrams, sent by the relatives of the appellant to various departments, as well as the statements of DW1, DW2 and DW3. It was also contended that the findings of the learned trial Court wherein it was stated that the factum of issuing telegrams was not proved in accordance with law nor appropriate witnesses have been summoned, are contrary to the evidence on record. 23. The learned trial Court rejected the plea of the appellant holding that he was not convinced about the sending of the telegrams by the appellant before his arrest. The certified copies were obtained five days after their issuance i.e. on 28.4.1992. The postal receipts of all the telegrams had not been produced, which showed that the entire version of the defence in this regard was not true. 24. The telegrams marks D1 to D4 were produced on record which were sent to different authorities including Deputy Commissioner, Amritsar; D.I.G. Police, Border Range, Amritsar; Judicial Magistrate, Ajnala and Director General or Police, Chandigarh. DW1 stated that he had not brought the original telegrams as they had been destroyed. The certified copies of the telegrams were not exhibited by the Court for such non-production. Ex.D.1 is the postal receipt of Rs. 15/- dated 28.4.1992. This receipt was issued in the name of one Baldev Singh for Rs. 15/-. It also appears on the record that DW2 Rakesh Kumar Clerk from the D.C. Office had appeared in Court and stated that an entry was made in the register wherein a telegram had been received from one Piari about illegal detention of Mohan Singh on 24.4.1992. This witness on his further examination has stated that the telegram was received on 23.4.1992. DW3 Paramjit Singh from the DIG Office, Amritsar, stated that no telegram as claimed by the defence was received which is stated to have been sent on 21.4.1992. 25. In order to establish plea of false implication, the burden of proving such a factum is upon the accused. The accused should discharge the burden with cogent and reasonable evidence and establish a case based on probabilities may not be beyond shadow of any reasonable doubt like the prosecution. Certain basic links totally remain unexplained in this plea of the defence. Why the original receipts of sending these telegrams on 21.4.1992 were not produced before the Court ? The appellant produced DW3 who stated without any demur that no such telegram was received, sent by Smt. Piari, in regard to illegal detention of the accused on 19.4.1992. Another pertinent fact which we must notice is that the accused in reply to the last question put to him by the Court while relying upon statement under Section 313 Cr.P.C., did not even make a mention about sending of these telegrams by his relations. According to him Smt. Piari had filed application before the higher authorities. No such application was either produced on record or proved in accordance with law. In these circumstances we are not prepared to accept the plea of the defence that the appellant was falsely implicated in the present case and in fact was no way connected with the alleged recovery. 26. The other contention raised on behalf of the appellant is that the alleged sample of the contraband was tampered with and the report of F.S.L. cannot be relied upon and made basis for conviction of the accused in the present case. PW1 SI Dharam Singh, stated that he along with others apprehended the appellant on 26.4.1992 and recovered the opium from the gunny bag which the appellant was carrying on his head at the time of his arrest. 10 grams was taken out of it and the remaining opium weighed 13 kilograms. He had prepared the recovery memo Ex.PA, which was sealed and marked with his seal bearing letters 'DS' and then by the Deputy Superintendent of Police with his seal of letters 'NS'. According to this witness the case property was handed over to MHC Mohan Singh, who appeared in the witness box as PW3. This witness tendered in evidence the affidavit Ex.PE and was cross-examined. PW4 Harjinder Singh also tendered in evidence the affidavit Ex.PG and was cross-examined. In the affidavit tendered in evidence of PW3 it has been stated that on 26.4.1992, PW1 had deposited with him the article one sample parcel with seal of DS-NS, weighing 10 grams. According to him on 22.6.1992 the said sample of opium sealed with seal DS-NS was sent to F.S.L. Chandigarh through Harjinder Singh constable who deposited the same with the F.S.L. on the same day and handed over the receipt to him, which was attached with the relevant records. It is also stated that nobody tampered with the seals. According to the affidavit of PW4 he had supported the version stated by PW3 in his affidavit. However, in his cross-examination PW4 was confronted with his statement EX.DB recorded under Section 161 by the investigating officer. In portion A to A thereof the witness had stated that he had deposited the sample with the F.S.L. on 24.6.1992. He further denied the suggestion that first sample was given on 22.6.1992 which he failed to deposit and thereafter a fresh sample was drawn and prepared on 24.6.1992. We may also notice that in Ex.DB in the statement of this witness recorded by the police, the date 26.6.1992 has been over- written by 24.6.1992. 27. There is no doubt that there are some contradictions in the dates given in the affidavits and in the statements of the witnesses recorded by the police. Such variation per se may not be sufficient to disbelieve the case of the prosecution, but it must be examined in the light of the other authentic evidence on record. 28. Ex. PH is the report of the F.S.L. while Ex. PF is form 29 vide which the sample in question was sent to the Laboratory. In Ex.PF which is dated 22.6.1992, it is shown that the sample was received vide Serial No. 117/92 on 24.6.1992. We must again notice at this stage that there is some over-writing even in this document and number 4 has been probably written at top of number '6' i.e. 26.6.1992 and 24.6.1992. In Ex.PH there is no tampering and date of receipt of sample has been type-written as 24.6.1992. In terms it refers to all the contents of Ex.PF correctly (we have seen the original record). 29. Another material to be considered by the Court is Ex.DA and Ex.DB, the statements of both PW3 and PW4 recorded by the police under Section 161 Cr.P.C. wherein it had been recorded that on 22.6.1992 the sample was taken out of Malkhana and was given to PW4 for its onward transmission to F.S.L. Chandigarh. According to that statement PW4 had deposited the sample on 24.6.1992. The witnesses were confronted with these statements and the versions given in relevant portions of these exhibits are more in consonance with the contents of Ex.PH as well as Ex.PF. 30. On analytical examination of this evidence, there is some doubt with regard to the delivery of the sample at the F.S.L. Chandigarh. If the sample was actually withdrawn from the Malkhana on 22.6.1992 as per Ex.PF, then where was the sample till 24th or 26th of June, 1992, which-ever may be the date of its delivery to the F.S.L. According to the affidavits of PW3 and PW4 both, they had delivered the sealed sample on the same day when it was handed over to them from the Malkhana i.e. 22.6.1992. One undisputed fact, which is also the case of the prosecution, is that the sealed sample was withdrawn from Malkhana on 22.6.1992 and handed over to PW4, who in turn, was to deliver the same as per Ex.PF to the F.S.L. 31. These are the material contradictions in the ocular as well as the documentary evidence produced by the prosecution. Stringent penal provisions of this statute cast a greater obligation upon the prosecution to establish and prove its case beyond any shadow of reasonable doubt. 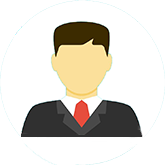 An accused is entitled to know the exact case which he is required to meet in order to avoid the charge and which the prosecution intends to prove at the trial. We may also notice that incriminating evidence in this regard was not even put to the accused during the course of recording of his statement under Section 313 Cr.P.C. According to that statement the sample was sent on 26.4.1992, which itself is a statement contrary to the documentary evidence on record. The contradictions in the statements of PW3 and PW4 recorded in Court during cross-examination, variance of the dates in their affidavits and no plausible explanation being rendered by both these witnesses while they were confronted vide Ex.DA and DB respectively, leave no doubt in our mind that the prosecution has failed to prove its case beyond any reasonable doubt. The benefit of doubt in the case of the prosecution, whether the sample was submitted to the F.S.L. Chandigarh on 24th or 26th June and in any case, where was the sealed sample for a long period of two days, as it was admittedly withdrawn from Malkhana on 22.6.1992, must entail in favour of the accused- appellant. 32. Learned counsel appearing for the State relied upon the judgment of the Supreme Court in the case of Khet Singh v. Union of India, 2002(2) RCR(Crl.) 277 (SC) : 2002(4) S.C.C. 380, to contend that the accused must show prejudice suffered by him even if there were contradictions and procedural illegality in conducting the search. We are afraid this judgment is of no help to the prosecution inasmuch as it is the specific case of the defence that in the intervening period of two days the sample was tampered with and the records have been interpolated. As is clear from the above facts and circumstances, the accused has apparently suffered prejudice. 33. We have already answered the legal matrix of this case in some elaboration and in line with the judgment of the Constitution Bench of the Supreme Court in the case of Baldev Singh (supra). Applying the said principles of the facts of the present case, it is clear from the statement of PW1 SI Dharam Singh, the investigating officer, that on suspicion he had apprehended the accused. As no independent witness was willing to join, he has told the accused that his person was to be searched and that in case he wanted he could be taken to a Magistrate or a gazetted officer, but the appellant deposed confidence in him and he conducted the search and found gunny bag on the head of the accused containing opium. In the memorandum of recovery Ex.PA, prepared on 26.4.1992, this fact was noticed by PW1. However, this version of the prosecution is not fully corroborated by the statement of PW2 who was present all the time. According to him, the investigating officer had told the appellant that he could be searched by a gazetted officer. The part relating to search before a Magistrate has not been stated by PW2, but this could not be a material contradiction in the statement of these two witnesses. 34. The Constitution Bench in Baldev Singh's case (supra) specifically held that it is imperative upon the empowered officer to give the requisite information as contemplated under the provisions of Section 50 of the Act to the suspect. Such compliance would be essential. However, the information need not necessarily be in writing. In the present case, factum of complete offer by the investigating officer to the suspect has been recorded in Ex.PA, which is further fully corroborated by the statement of PW1 and PW2. The accused was carrying gunny bag on his head at the relevant point of time when he was suspected and carrying the contraband and was apprehended. The search being of person of the suspect, the provisions of Section 50 were attracted. Rudiments of Section 50 have been substantially complied with in the present case and the appellant cannot claim any benefit on the ground of violation thereof. 35. Having given our serious consideration to the various aspects of this case, we are of the firm view that there is no violation of provisions of Section 50 of the Act in the present case. Furthermore, it is also not believable that appellant has been falsely implicated. 36. The learned trial Court in the impugned judgment has held that the police party was not aware of the possession of opium by the accused and as such it was not required to produce the accused before a gazetted officer or a Magistrate for his search in consonance with the provisions of Section 50 of the Act. On this premise, the learned Court has agreed with the contention of the learned counsel appearing for the prosecution that it was a chance recovery and statutory protection was not available to the accused. This approach does not appear to be in consonance with the evidence of the prosecution. PW1 SI Dharam Singh stated that on suspicion he had apprehended the accused and told the accused that his person was to be searched and that in case he wanted, he would be taken to a Magistrate or a gazetted officer, but the accused reposed confidence in him and wanted the search to be conducted. The accused was carrying a bag on his head. Obviously, it was not in the course of normal investigation of any offence or suspected offence that the said police officer was intending to conduct the search on the person of the accused. In the normal course of investigation under the Code of Criminal Procedure there is no obligation upon the investigating officer to make an offer of the kind the investigating officer made to the accused. It was only because he suspected him of carrying some contraband in the bag that he gave him that offer. All other witnesses of the police department have similarly stated. "(1) If a police officer without any prior information as contemplated under the provisions of the NDPS Act makes a search or arrests a person in the normal course of investigation into an offence or suspected offences as provided under the provisions of Cr.P.C. and when such search is completed at that stage Section 50 of the NDPS Act would not be attracted and the question of complying with the requireemnts thereunder would not arise. If during such search or arrest there is a chance recovery of any narcotic drug or psychotropic substance then the police officer, who is not empowered, should inform the empowered officer who should thereafter proceed in accordance with the provisions of the NDPS Act. If he happens to be an empowered officer also, then from that stage onwards, he should carry out the investigation in accordance with the other provisions of the NDPS Act." 38. Even in the case of Mohinder Kumar (supra) the Supreme Court took the view that from the stage he had reason to believe that the accused persons were in custody of narcotic drugs and sent for Panchas, he was under an obligation to proceed further in the matter in accordance with the provisions of the Act. This view of different Benches of the Supreme Court was referred to by the Constitution Bench of the Supreme Court in Baldev Singh's case (supra) and their Lordships held that the provisions of Section 50 of the Act would be applicable in the cae of a search of a person as distinguished from search of any premises etc. and where-ever the empowered officer, without any prior information as contemplated by Section 42 of the Act makes a search or causes arrest of a person during the normal course of investigation into an offence or suspected offence and on completion of that search, a contraband under the NDPS Act is also recovered, the requirements of Section 50 of the Act are not attracted. 39. Above are the principles of law enunciated by the Hon'ble Supreme Court. Their application to the facts and circumstances of the present case has been rendered merely academic because we have already held that there has been compliance of the requirements of Section 50 of the Act. As such the question in relation to chance recovery and consequences thereof would be merely academic. The investigating officer had given a complete offer to the accused as contemplated under Section 50 of the Act and prepared documentary evidence Ex.PA in support thereof. Thus, we are of the opinion that it is not necessary for us to deliberate upon this issue any further. 40. The contradictions pointed out by the learned counsel appearing for the appellant are not of material nature and substance, they are merely formal and variations of the kind which would not affect the case of the prosecution. But, the prosecution has certainly failed to prove its case beyond any reasonable doubt in relation to the taking of sample, its despatch from Police Malkhana to the F.S.L., as well as serious doubt has been created by the defence in the case of the prosecution that the sample remained for two days in possession of the police officials unauthorisedly. The sample was taken out from the Police Malkhana on 22.6.1992, whereas it was delivered at the F.S.l. either on 24.6.1992 or 26.6.1992, which itself is not certain. The oral as well as documentary evidence led by the prosecution in this regard lacks credence. 41. For the reasons afore-stated, we hold that the prosecution has failed to prove its case beyond all reasonable doubt and the appellant-accused is entitled to the benefit of such doubt and consequential acquittal. Resultantly, the appeal is allowed, the conviction and sentnece awarded to the appellant vide judgment dated 11.7.1995 by the learned Additional Sessions Judge, Amritsar, is set aside and he is ordered to be set at liberty forthwith.